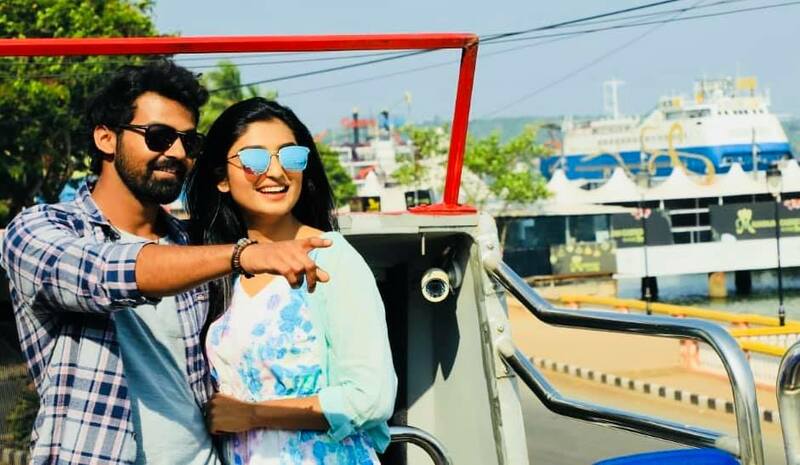 Pranav Mohanlal on Tuesday unveiled a new trailer revealing details about his character in upcoming film Irupathiyonnaam Noottaandu. He plays a surfer in the film, which is directed by Arun Gopy of Ramaleela fame. The title Irupathiyonnaam Noottaandu is inspired by Mohanlal’s hit film Irupatham Noottandu (1987), which was directed by K Madhu. The one-minute trailer also has many moments that suggest this film draws its main conflict from Mohanlal’s 1987 film. The movie is set to release on January 25, 2019. Rachel David is making her debut as heroine in the movie. Gopi Sunder is scoring the music while Hari Narayanan is penning the lyrics. Abinandan Ramanjunam is handling the camera and National Award winner Vivek Harshan is handling the film’s editing. The film has been shot extensively at Cape Town in South Africa, and Goa, Pala, Kanjirapally and Hyderabad in India. Pranav Mohanlal made a mark for himself with his first film Aadhi,in which he played a parkour enthusiast. He underwent training in free-running to perform his own stunts of jumping from one building to the next in the film. For his role in Irupathiyonnaam Noottaandu, the actor took surfing lessons in Bali.